Carlsberg has built what it believes to be the world’s first waterfall-powered pub in a forest in Cornwall complete with its own beer pump, offering AirBnB users the chance to book in and stay the night. The ‘Carlsberg Cabin’ pub uses hydro and solar power technology, and has been built using only sustainable materials. The carbon neutral pub is complete with a Carlsberg Expørt DraughtMaster beer pump and located in the Cornish countryside at Kudhva – a wild camping experience near Tintagel. 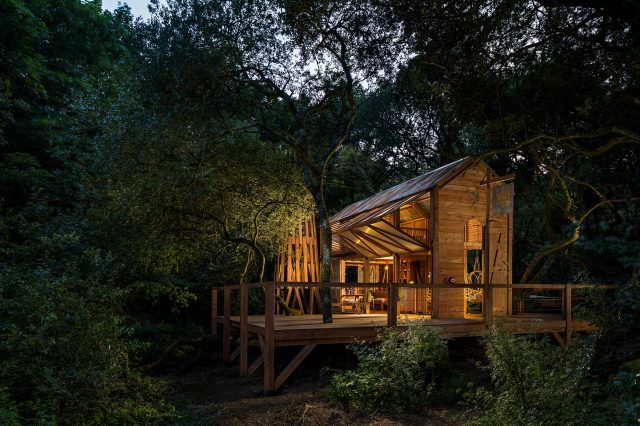 Using only locally sourced building materials, Carlsberg teamed up with award winning architect, Ben Huggins, who also designed the three-legged, asymmetrical hideaway camping pods at Kudhva, to create the cabin. “The inspiration for the design of the Carlsberg Cabin is a ‘Danish’ re-imagining of the iconic Cornish engine houses you see in Poldark,” said Huggins, from New British Design.”The original engine houses were built of stone and pumped water from the tin mines, now we’ve translated that iconic design into a lightweight frame structure but this time pumping beer. 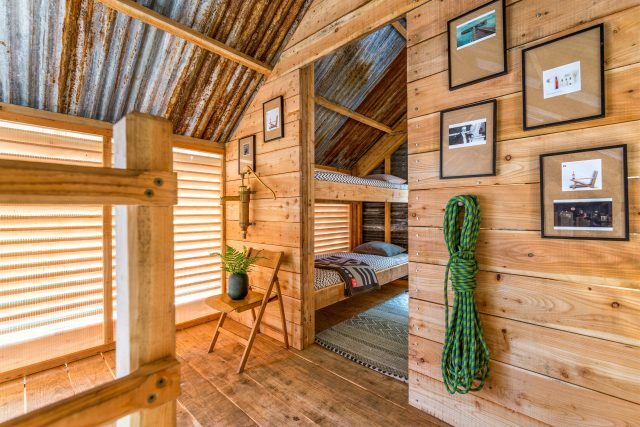 The Carlsberg Cabin is designed to sleep up to six people and can be booked via AirBnB.